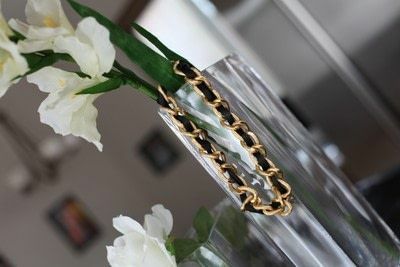 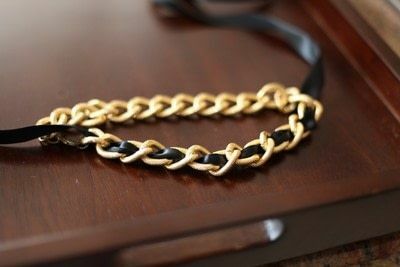 DIY Necklace Based on the Chanel Chain-Link Design! To begin, you need a gold chain, black ribbon, two jump rings, a clasp, pliers and superglue. 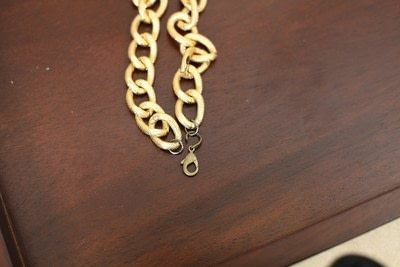 Attach the jump rings to each end of the chain, and then attach the clasp to one of the jump rings. Starting at the middle of the necklace, thread the ribbon through one of the chains. 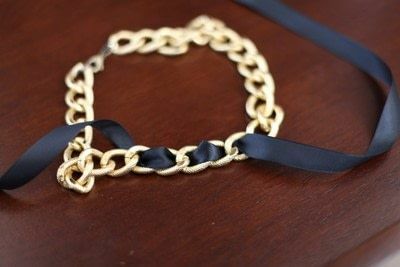 Weave the ribbon through the chain links. 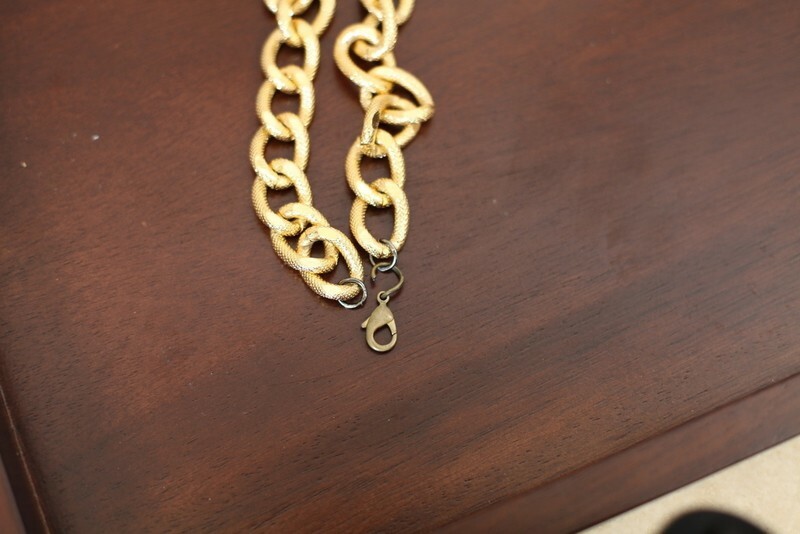 Continue weaving until you've done the entire chain. 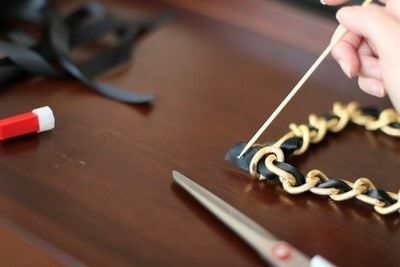 At the end of the chain, trim the ribbon and tuck it around the last chain link. 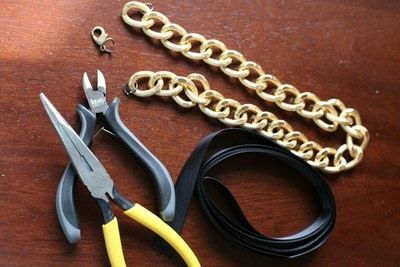 Secure with superglue.